During the Golden Age of Hollywood, a new type of romantic comedy was born—the screwball comedy. Join us at the Jefferson Market Library this winter for some madcap adventures when we screen some of the best of the genre. 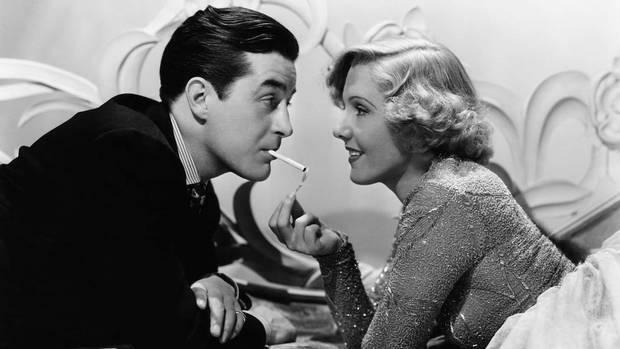 Easy Living (1937), directed by Mitchell Leisen and starring Jean Arthur, Ray Milland, and Edward Arnold. When a discarded fur coat lands on the head of stenographer, her life changes overnight but will her new fairytale lifestyle threaten her romance with an inept waiter? Midnight (1939), directed by Mitchell Leisen and starring Claudette Colbert, Don Ameche, and John Barrymore. Writer and producer Michele Gouveia will introduce the films. Presented in the first floor Willa Cather Community Room. All events are free and open to the public.